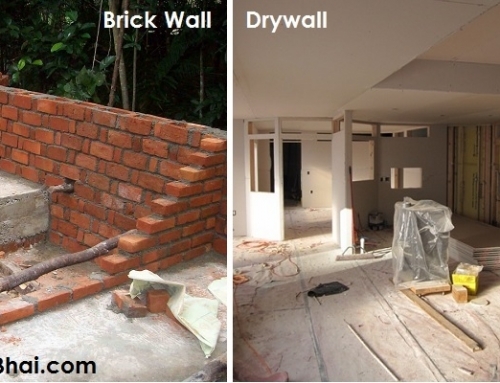 False Ceiling is a secondary ceiling hung below the main structural ceiling. False ceiling can also be referred to as a drop ceiling, T-bar ceiling, suspended ceiling, grid ceiling, drop in ceiling, drop out ceiling, or ceiling tiles. False ceiling has become an essential design feature in modern construction and architecture for both residential and commercial applications for the benefits they provide. 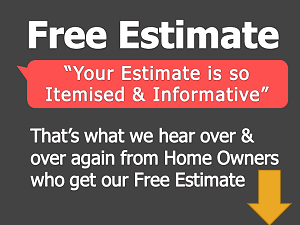 Weather home owners are planning a renovation or interiors for new house, a home with false ceiling will have will look incomplete. False ceiling adds to the aesthetic appeal of the house but also of a room too. False ceiling also helps enhance the room with better lighting with trendy LED’s. Not only this false ceiling help conceal wires, plumbing, air conditioning ducts and also water sprinklers in fire-proof homes and commercial areas. 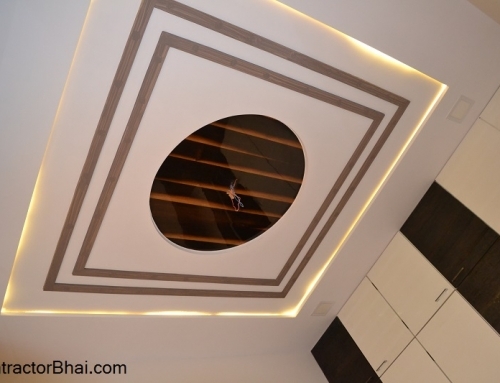 This false ceiling cer commonly done and preffered by most home owners. This false criling us either rectangular or square depenfing on room size. Usually Strip LED lights or Cove lights are installed to highlight or enhance the room. 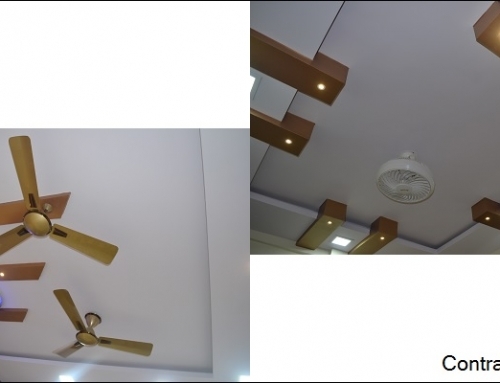 As i said earlier Rectangular False Ceiling is the most preffered cause (i) it is very economical as compared to other false ceiling design (ii) can be made and installed faster then the rest and lastly, (iii) no issues relating size imperfection or installation unlike others. Curved false ceiling turns out to be one of the expensive false ceiling design. This is because a lot of care needs to be taken while creating the curve and maintaining the size uniformity too. An inch here and there can ruin the false ceiling appearance. 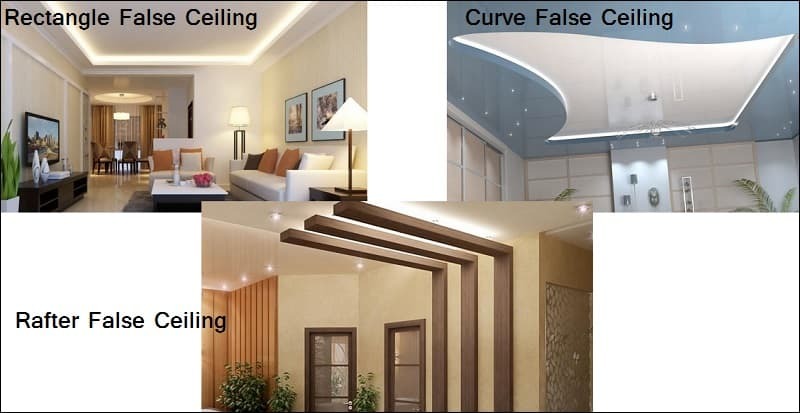 Another reason why curved false ceiling is an expensive affair is because 2 layers of false ceiling need to be created to have a curvatious false ceiling. The first ceiling layeris the standard Rectangular false ceiling while the second layer is the curved ceiling layer as per final drawings/ design. For rectangular false ceiling too, 2 layers of false ceiling needs to be done but most of them prefer having one layer only. Here a side slab is made. This saves on both cost and time to make the ceiling. Rafters False Ceiling are the Wooden False Ceiling. Here the wood used is not the original wood. Its just that the POP or Gypsum is painted to give the panel or area a wooden effect. If original wood was used the false ceiling would turn out to be highly expensive. 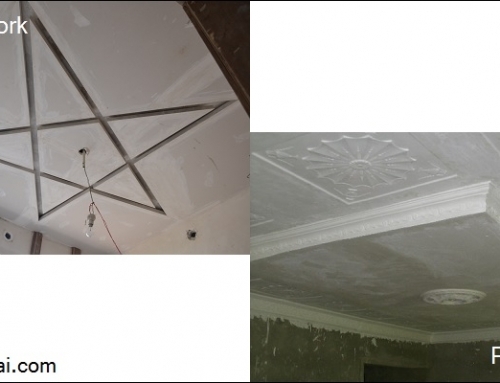 The material used for False ceiling is usually GYPSUM. 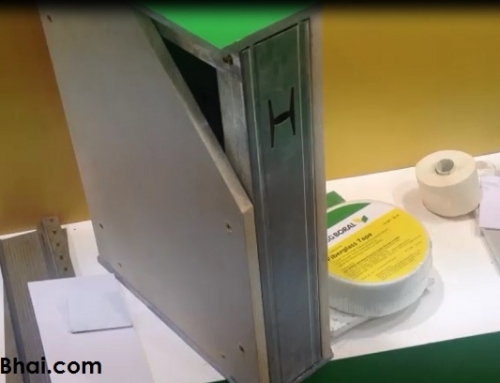 And the thickness maintained is 18″ for false ceiling. Ceilings be it False Ceiling or original ceiling, it is usually painted in White. There are time where the client prefers colors. But we definately suggest our clients and Home Owners to avoid Dark colours for Ceiling. Dark colored ceilings make the room look smaller and sometimes bold. There are no standard cost chart followed since the costing for each type of false ceiling will vary with Material used & Size.